Next Generation – Versatile products from a novel, sustainable and low environment impact source that performs comparatively better than mammalian collagen sources. Non mammalian – Disease free and vector free (BSE) products, bio burden free material. Scientifically proven – Jellagen's claims and performance is verified by application specific scientific data. 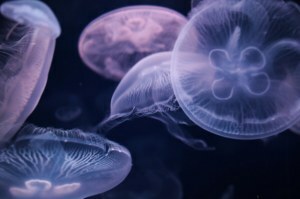 Ethically derived – Jellagens raw material are sourced ethically, environmentally consciously and collaboratively with marine biologists to ensure there is no impact to the marine ecosystem. Human biocompatible – Better performing than all other human biocompatible collagen sources. Rat tail is not human biocompatible.